Keeping it genuine has never been easier or more affordable. Here, you’ll find promotions on the parts you need at prices that are sure to make the insurance companies and your customers smile. 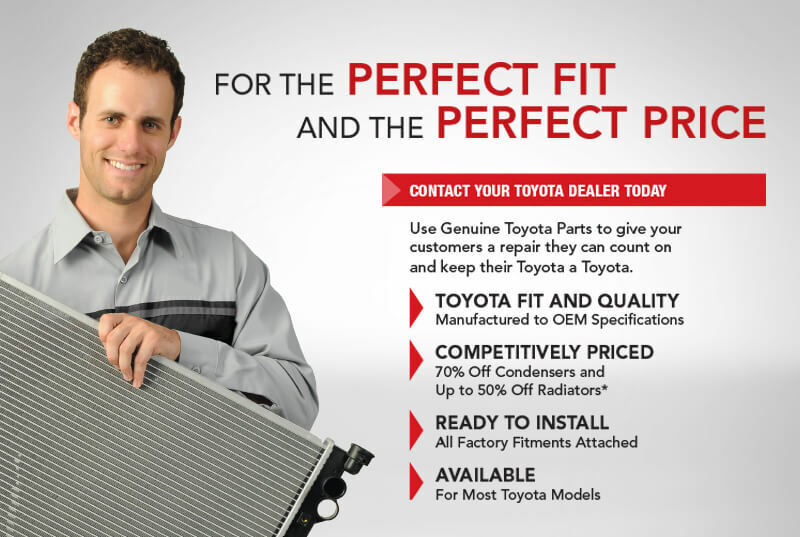 It’s all part of Toyota’s commitment to help you ensure your customer’s safety and satisfaction. 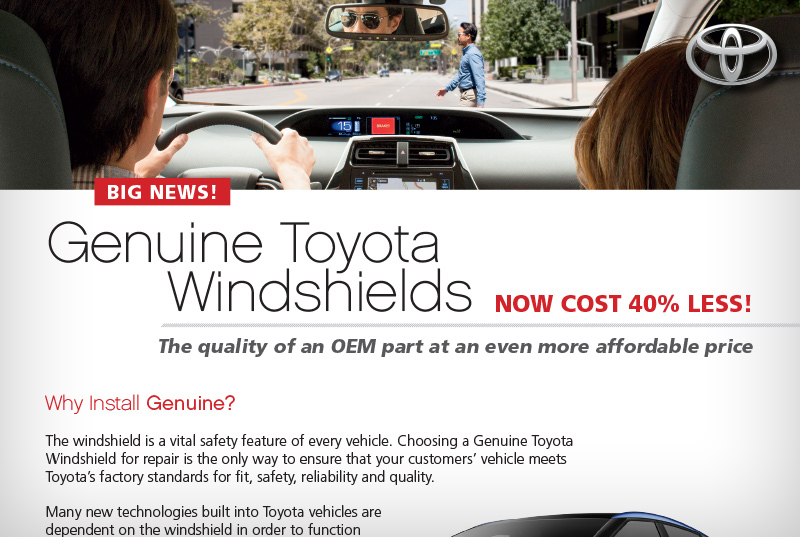 Genuine Toyota Windshields–Now 40% Less!